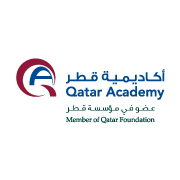 As the largest school in the QF family with over 1800 students, Qatar Academy Doha (QAD) is organized into Primary, Middle and High School divisions, with an Early Education Center for children as young as 6 months of age. QAD, an IB World School, is authorized for the PYP, MYP and DP. Half of QAD graduates leave with an IB Diploma and all graduate with a CIS/ NEASC accredited high school diploma giving them access to the elite universities and colleges in North America, Europe, Qatar and elsewhere. English is the language of instruction in all disciplines and subjects except Arabic, Islamic Studies and Qatar History which are taught in Arabic. Over 80% of QAD students are Qatari and a large majority are English Language Learners. Boys and girls are taught in mixed classes for the PYP and the DP, and separately for the MYP (Grades 6 - 10). QAD is an inclusive school that serves a wide variety of learning needs and abilities. Description 180 days of instruction in a school year, plus Professional Development Days and required min days before the start and after the end of the school year. Description Basic salary plus transportation allowance between US$ 45,400 and 58,412 (QAR 165,708 and 213,204) Stipends provided for additional responsibilities such as Head of Department. Description Fully furnished accommodation provided in a housing compound managed by QF Housing Team according to international standards. Description Annual Airfare - economy class tickets in connection with annual leave for you and eligible dependents, to the nearest international airport in your home country, and one-way economy class ticket at the start and end of contract. Description Electricity, water, and garbage services are paid by Qatar Foundation. Description Accommodation is fully furnished. Description You will be eligible for a fixed amount for luggage assistance in connection with your first travel to Qatar; this is derived from the market rate to ship 200 Kgs for singles and 400 Kgs for families of unaccompanied air luggage to Qatar from your point of origin. Description Education assistance for up to 4 children from the age of 3-18 or until completion of high school. Description Staff is provided with worldwide medical coverage in addition to access to state provided medical coverage. Description Dental plan is provided. Description PD opportunities within our in house Education Development Institute, which offers IB authorized courses, as well as other professional learning sessions.